Professor at Hebrew University in Jerusalem, Dr. Mechoulam describes the role of Cannabinoids as anti-inflammatory for arthritis, as neuroprotectant for brain injury and as a possible treatment for PTSD. 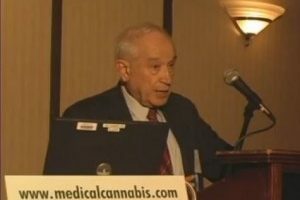 Dr. Mechoulam first isolated THC in 1964. Conference hosted by Patients Out of Time. DVDs are available.